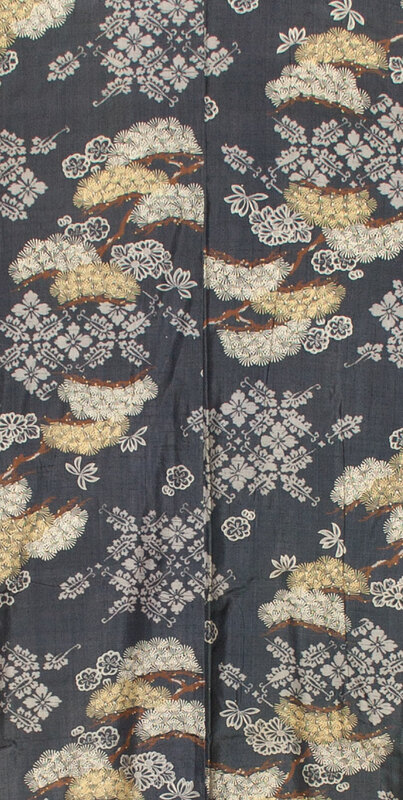 Kimoyes item: 21496 - This vintage grey silk kimono has a dyed tree and floral design. This vintage grey silk kimono has a dyed tree and floral design. The silk is very soft with a slightly obvious grain. 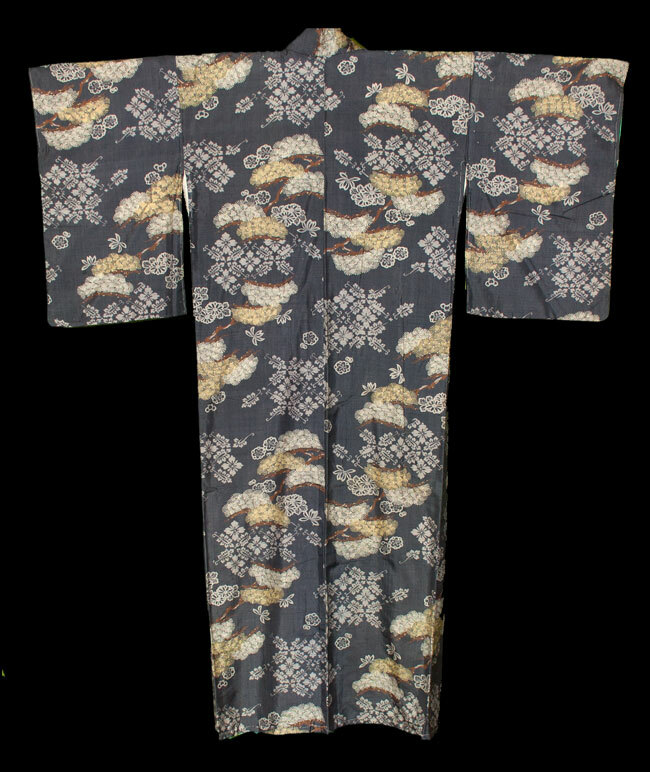 This kimono measures 50 inches from sleeve edge to sleeve edge and is 60 inches in length. It would be comfortable to wear or display.